Along a Berkeley County trail in West Virginia are thirteen unique geocaches. Each is a unique gadget cache which, combined, have earned over 5000 Favorite points. Along this trail lies our Geocache of the Week. Lovingly constructed, Name that Tune certainly won’t fall flat, and is sure to test both your musical and geocaching skills. When you sing you begin with Do Re Mi, and when you make a creative cache like this, you start with the basics: a birdhouse. 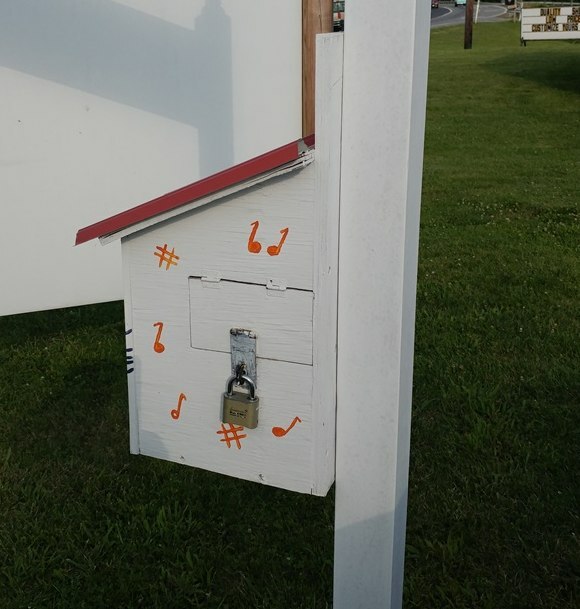 When you arrive at the cache, it looks like a home for a songbird, covered in carefully painted musical notes. The first step is to slide out the xylophone and play the notes given on the cache page. There’s no musical skill required, so even if you didn’t pay attention during music class in school, this cache is still for you! Simply match the numbers in the cache description with the numbers painted on each note of the xylophone. Once you figure out the tune, that’s where your geo-skills and riddle playing come in. The last four notes of the melody correspond to the numbers needed to open the combination lock on the side of the cache. I’m blessed to have over 50 caches with over 100 Favorite points. Finders are so generous with their time and many write amazing logs. Reading the logs of their finds takes me there with them. Let’s be honest, the reason cache creators spend so much time in their shops is so they can read these great logs. For those of you out there interested in making your own birdhouse-based gadget cache, the cache owner has you covered. Watch him explain how he made this cache in the video below. 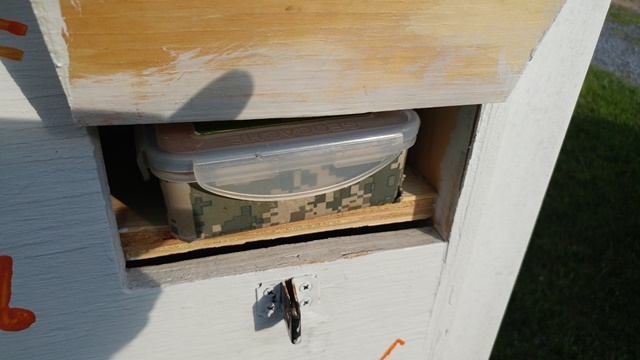 Here he walks through not only through the process behind his different caches, but also how to convert an ordinary birdhouse into an extraordinary geocache.